“Only those that believe in the invisible can achieve the impossible” is the mantra of Invisible Bully, a premium streetwear brand born out of Brooklyn, New York. The statement is the tip of the iceberg for what the brand stands for and represents. Listening through the archives over the years, The Notorious B.I.G. frequently referred to his right hand man, D-Roc, as his “Invisible Bully” in his lyrics. Thus the name of the brand derives from its founder’s nickname. Rooted in the authenticity of the post-golden age of New York hip-hop, the brand is an ode to one of the greatest ever in addition to being a reflection of the era. 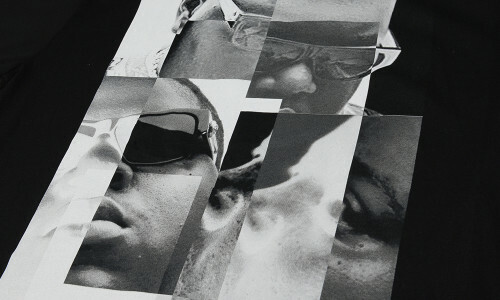 To celebrate the birthday of the iconic rapper and artist Biggie, we’ve gathered to discuss the brand and clothing line inspired by his legacy. With the connection that the brand owner had with most of the rap/hip-hop community, the culture is willing to give back and support by wearing Invisible Bully. The brand, in itself, transcends decades, artists, labels and is a labor of friendship for D-Roc and Biggie. Growing up together, encouraging one another and looking out for each other, Roc’s actions and loyalty is widely respected by the community. This respect is acknowledged and carried on by today’s artists, as well. For example, Nicki Minaj gives a nod and shout to Roc on her latest song with Lil’ Herb entitled “Chi-Raq”. Listen to the snippet via Instagram video over on the @invisiblebully_ account. Available in select stores. Check out Release Locator for stores. Print article This entry was posted by hhcblog on May 21, 2014 at 11:01 pm, and is filed under Footwear. Follow any responses to this post through RSS 2.0. You can leave a response or trackback from your own site.